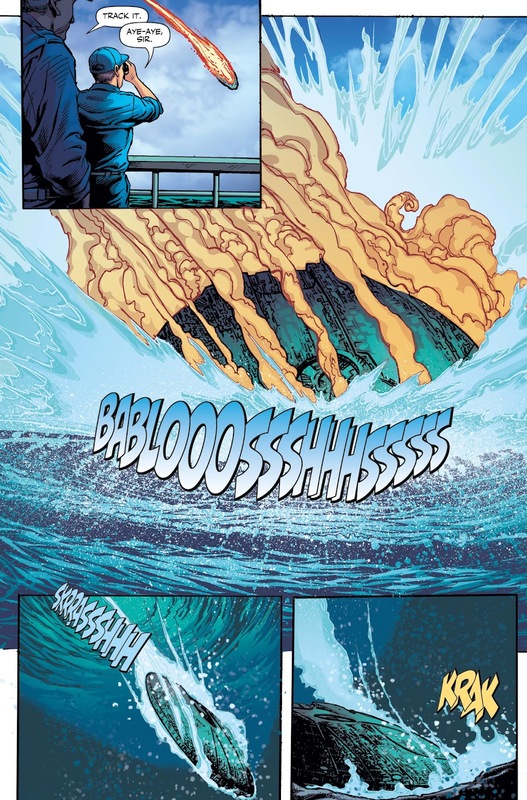 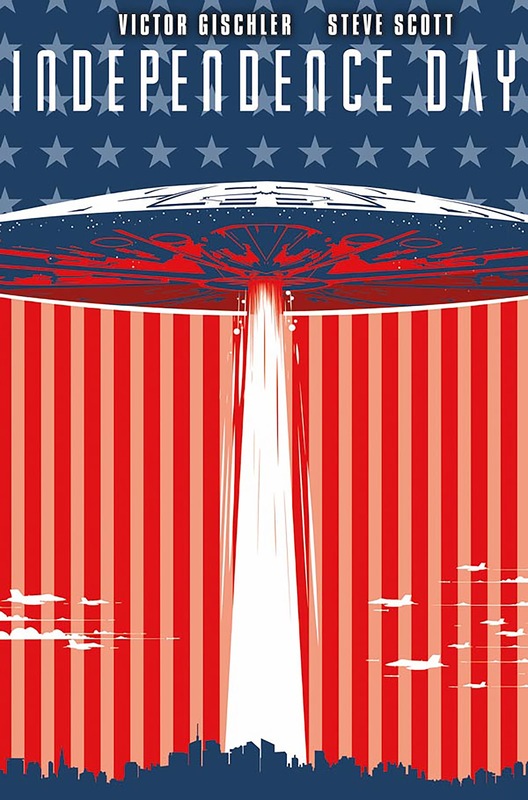 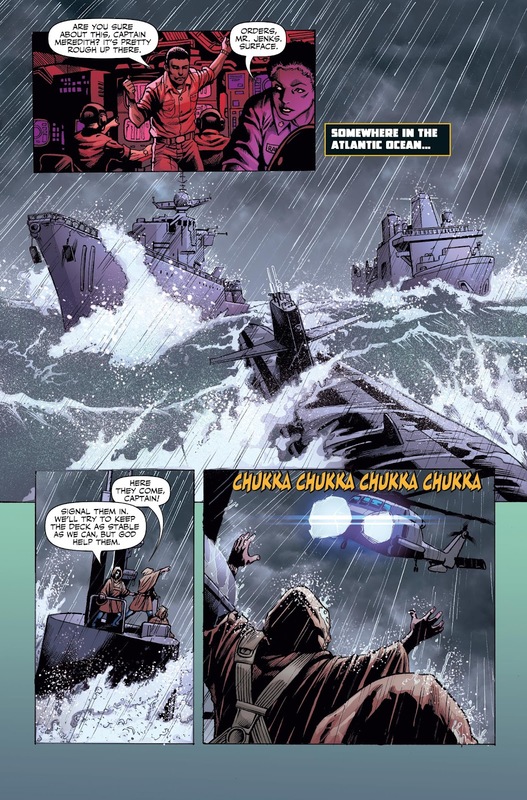 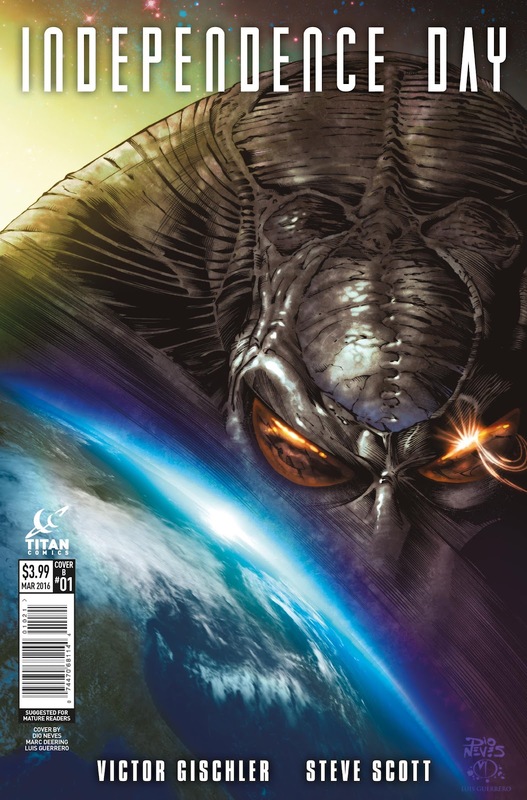 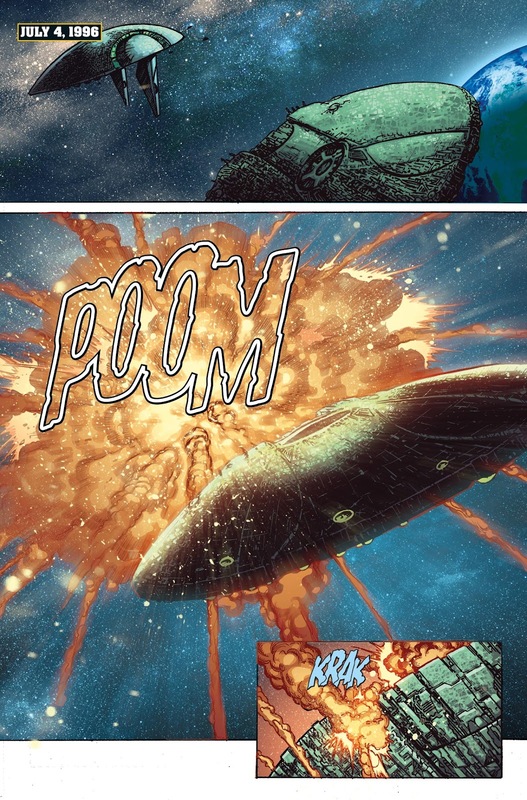 The Fellowship has obtained a first look at INDEPENDENCE DAY #1 from Titan Comics. 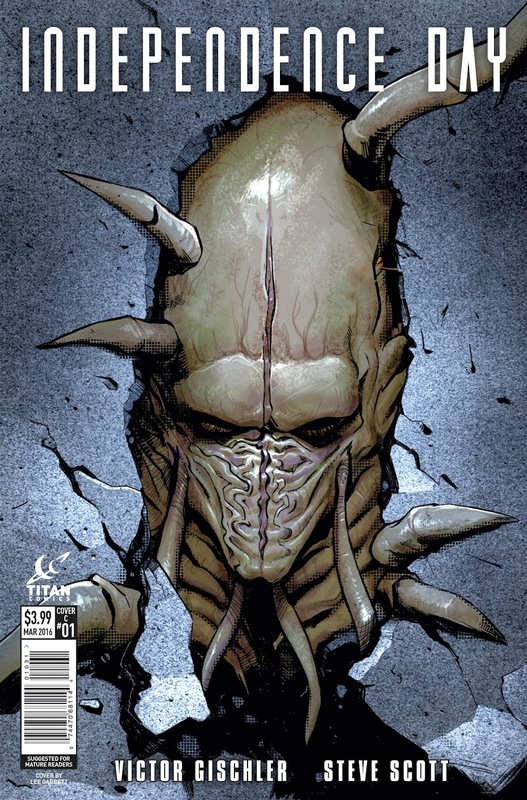 The issue, which hits stores March 23rd, is written by Victor Gischler with art by Steve Scott. 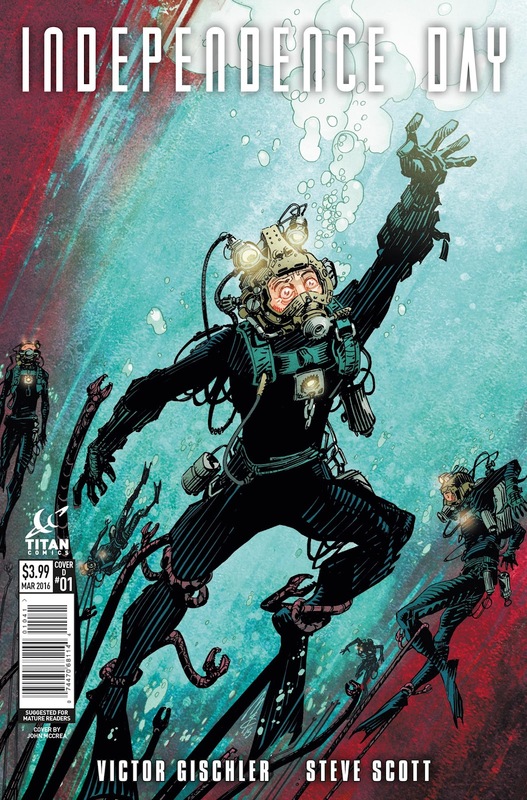 Covers are by Dio Neves, Lee Garbett, and John McCrea (with a movie and blank sketch).